Tree Pollarding By Pruning The Tree Back! 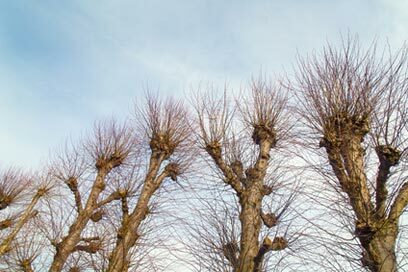 The tree service of pollarding has been around for many years and it is a form of extensive pruning where the tree is cut back to almost bare to allow new healthy branches to bud and sprout from the cut back areas. Back in the day it was used to prevent animals grazing on the new growths appearing naturally and the residual wooden taken off could be used for posts, fencing, fuel etc. 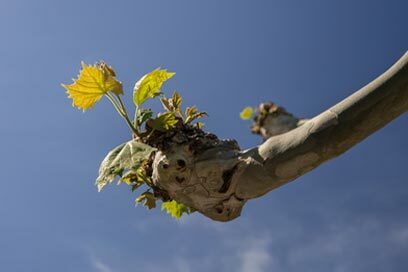 This method is widely used by tree surgeons throughout the land, but after pollarding the tree needs to be regularly maintained to avoid any issues arising due to the new growth. Pollarding usually starts once a tree has reached a certain size and height and to keep this process going annually, this will make sure the tree growth remains at the same height and not grow out of control and cause hazards especially in suburban areas and streets lined with trees. This procedure is most commonly occurring with London plane and common lime trees and should be down around late winter when the tree is dormant. 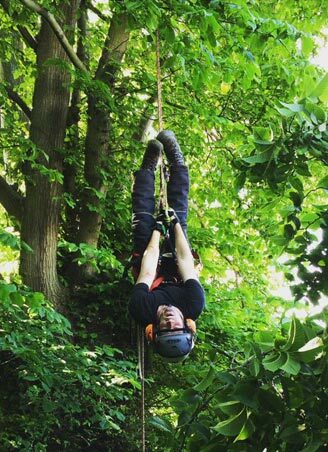 This process is not too difficult for any professional tree surgeon and should only be carried out by qualified personnel like us due to the heights involved and the use of chainsaws. "Stevie and Cameron have done a number of jobs at my home and my rental properties (annual apple tree pruning, taking down medium and small trees, removing large bushes, etc.. I can always count on them to come when they say they will, charge a fair price and to do a great job cleaning up. I wouldn't hesitate to recommend them for any tree work." Overall it would be up to the tree surgeon to make an assessment if pollarding is necessary and whether it is time to prune back the branches or not depending on the situation and the safety aspects involved. Pollarding: this method of pruning keeps the tree size smaller than it would normally be if it was let to grow naturally. We are the tree team you can rely on! !